Question: Our company collects weekly (bi-weekly or monthly – no matter) payments drawn directly from their bank accounts in some cases and in others as payroll deductions. We receive CSV files from the bank and processors. Can these transactions then be imported back to Margill Loan Manager? Answer: As you guessed, since I blogged this, Margill does this no problem. Each and every line of a payment schedule includes a unique line identifier. If this line identifier can be sent back to Margill from your processor (or accounting or ERP system), the software will automatically change a “Due payment” to a Paid, Late or Partial payment or even an Unpaid payment if your system can send back the Line ID with a payment of 0.00 (most systems don’t actually, so a human may have to decide when this payment eventually is considered Unpaid). To send the transactions to the bank or to the payroll deduction processor, use the Transaction report with any data you want. Let’s keep it simple by supplying the Name, Transaction date, Transaction amount and Unique Line ID. This report can then be sent to the processor in Excel, CSV or Text format. Please note. The file created by Margill is not in NACHA format. We work with third party processors Intrix (US) and Perceptech (Acceo)(Canada) for electronic funds transfers to debit your borrower accounts. This Excel file is imported to Margill and all payments will be updated in seconds… Errors will be flagged the case being. Margill Loan Manager: Is there a way for me to see if users are logged on to the system? Question: Is there a way for me to see if users are logged on to the system? https://www.margill.com/wp-content/uploads/2017/02/jur-logo-margill-avec-spacer-top_EN-300x73.png 0 0 Marc Gelinas https://www.margill.com/wp-content/uploads/2017/02/jur-logo-margill-avec-spacer-top_EN-300x73.png Marc Gelinas2017-11-17 15:42:372018-10-05 19:17:19Margill Loan Manager: Is there a way for me to see if users are logged on to the system? A borrower missed a payment last month. This month he doubles up his payment to compensate. Doubling should get him back on track but I get a higher balance at the end of the loan? Help! Question: A borrower missed a payment last month. This month he doubles up his payment to compensate. Doubling should get him back on track but I get a higher balance at the end of the loan? Help! Answer: Your borrower will be CLOSE to back on track but there was accrued interest for the month he missed so this is why you are not back to the same end balance (0.00). https://www.margill.com/wp-content/uploads/2017/02/jur-logo-margill-avec-spacer-top_EN-300x73.png 0 0 Marc Gelinas https://www.margill.com/wp-content/uploads/2017/02/jur-logo-margill-avec-spacer-top_EN-300x73.png Marc Gelinas2017-11-10 23:04:262018-10-05 19:07:34A borrower missed a payment last month. This month he doubles up his payment to compensate. Doubling should get him back on track but I get a higher balance at the end of the loan? Help! Can I apply a payment only to principal even if there is outstanding interest? 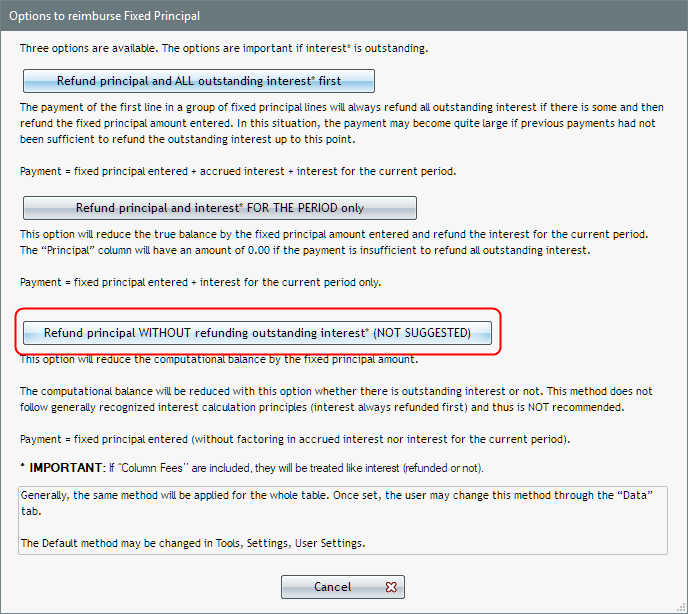 Question: Can I apply a payment only to principal even if there is outstanding interest? Yes when this advanced feature is activated. In the Trial version, this is not activated by default since a more advanced feature. To activate, go to Tools > Settings > User Settings > “Options: Interest-only and Fixed Principal” (blue link). The third option will allow you to pay principal first. You can set this as your default or have Margill give you the three options when you are in a loan. I would check “Offer the three option when creating a loan” for maximum flexibility. 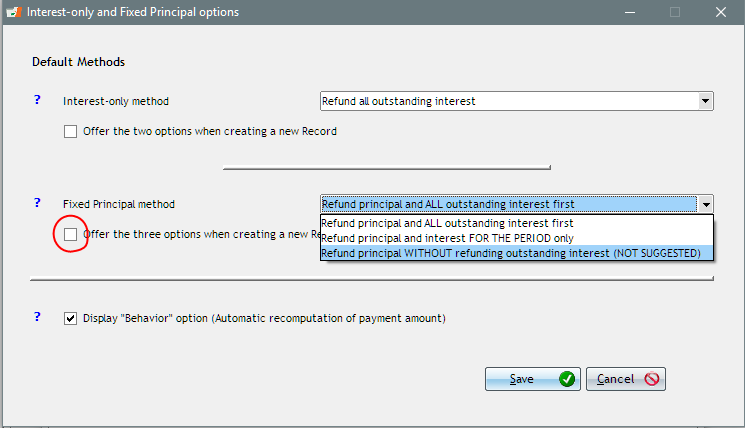 This window will appear allowing to choose the third option that will pay back principal before paying any outstanding interest. Notice we write “NOT SUGGESTED”. We wrote this because it is not a standard refund order but we will be taking this off since we see in practice that this is in fact used quite often, particularly in inter-company loans. Now you will see that this payment ($1000) pays principal even if there is outstanding interest. https://www.margill.com/wp-content/uploads/2017/02/jur-logo-margill-avec-spacer-top_EN-300x73.png 0 0 Marc Gelinas https://www.margill.com/wp-content/uploads/2017/02/jur-logo-margill-avec-spacer-top_EN-300x73.png Marc Gelinas2017-11-10 16:44:482018-10-05 19:08:17Can I apply a payment only to principal even if there is outstanding interest? 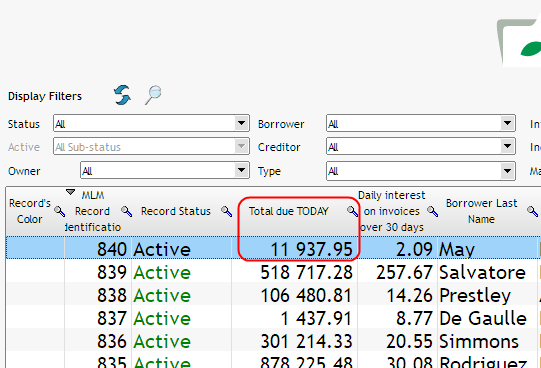 Can Loan Manager be used to collect invoices with payments here an there? Each invoice only starts accruing interest after 30 days. 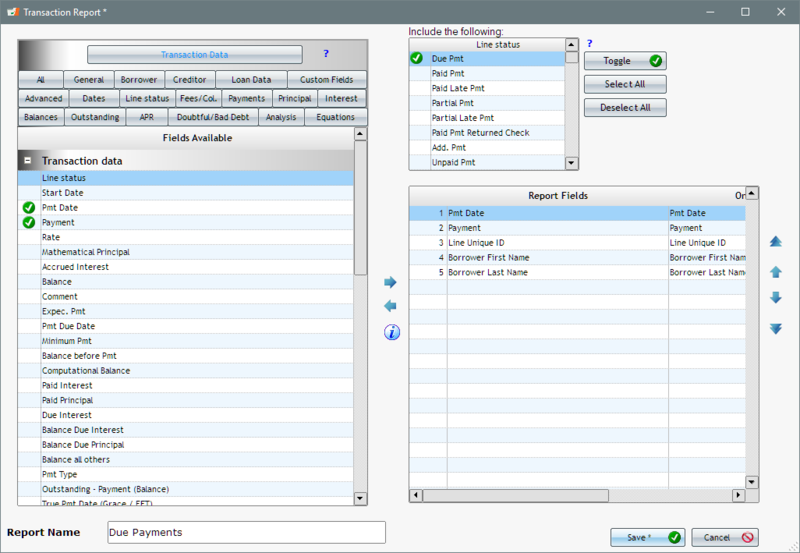 Q: Can Loan Manager be used to collect invoices with payments here an there? Each invoice only starts accruing interest after 30 days. We are a medium-sized law firm and send out invoices to our clients irregularly. Many of our clients do not pay within the 30 days allotted (invoices are Net 30 days otherwise the monthly interest is 1% per month (12% annually)). We charge simple interest, not compound. We are now November 7, 2017 and the assistant must easily see how much is due today or any day. In Margill Loan Manager, a Record must be created for each of your clients. Each Record will contain many invoice and (we hope) many payments. This is very similar to a line of credit with one exception, that interest starts accruing only 30 days after the invoice date. You will thus enter the invoice on the day it was sent BUT with a payment date 30 days (or one month) after the invoice date. So for the Dec. 1 invoice, the payment date will be Jan 1. With an Irregular payment frequency, this window (optional) allows you to enter the invoices and payments quickly and these need not follow the chronological order in which invoice are sent and payments received. Any transaction entered in the window can be changed afterwards in the actual payment schedule. Now press on Compute to produce the payment schedule (called Payment Table in Margill). A comment could have added or can be added now in the Comment column (there is also a Check number column to the right that can be moved). Fees can even be added in the Column Fees (Called “Admin – Accrued” below) which could be added above and beyond the interest on the invoices (we will not add any here). I would first change the “Due Pmt” Line status to “Paid Pmt” since this was already paid. Notice “Add. Princ. (Loan)” – this is where each invoice is sent. These could be changed to a more user friendly name such as “Invoice” (you can rename many Line statuses – take “Add. Princ (2)” and rename as desired)). I now wish to know how much is owed today Nov 7, 2017. This step is not required since the data is all computed an accessible directly in the Main window but for the sake of learning, let’s do it. We insert a line (right mouse click or ). Change the date to today’s date. So this client owes the law firm $6937.95 + $5000 = $11937.95 but does not YET owe the $60.59 in accrued interest. Now let’s get this information on to the Main window for very easy access. I created an Equation in Margill that takes the balance today and adds the Principal (my invoices) that is added after today (so the 5000 billed yesterday but that will start bearing interest only 30 days from Nov 6). We now see the “Total due (maybe should have been or “owed” not “due”) TODAY” that is the number we are looking for. The amount will increase tomorrow by $2.09 which is the daily interest on the interest bearing portion (not on the 5000 that only starts bearing interest on Dec. 6). If you are dealing with a large volume of transactions (invoices and payments) on a daily basis, you can mass import the invoices and payments manually for all your accounts in one window or through a very simple Excel sheet containing the account number, the date and the amount and whether the transaction is an invoice or payment. This is done in Tools > Post Payments > Bulk Payment Import > Import New Payments. 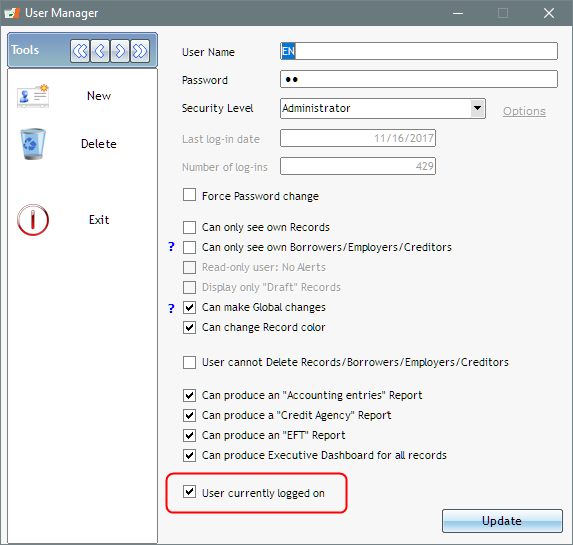 Example below of manual entry for multiple accounts at once. Contact our Support for more information. https://www.margill.com/wp-content/uploads/2017/02/jur-logo-margill-avec-spacer-top_EN-300x73.png 0 0 Marc Gelinas https://www.margill.com/wp-content/uploads/2017/02/jur-logo-margill-avec-spacer-top_EN-300x73.png Marc Gelinas2017-11-07 15:04:582018-10-05 19:17:54Can Loan Manager be used to collect invoices with payments here an there? Each invoice only starts accruing interest after 30 days. Is there a limit on the number of notes that can be tracked at one time? Not really. The number of loans you can enter in the system is based on your license package. Our largest users have 30,000 loans, our smallest maybe 5? Price is based on number of loans and users. Can the interest rates adjust as the Prime rate (or other) adjusts and payments recalculate automatically? You can update all your loans at once with the Prime rate (or other). You can have interest-only payments recalculated. 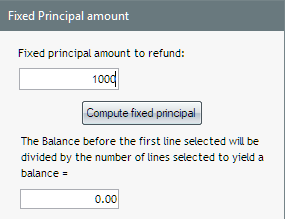 You cannot have P&I payments recalculated automatically although this feature could be added. Can the system handle balloon payments? Accounting report to send transactions directly to your General ledger with Excel, CSV, TXT, QuickBooks, Sage. Able to customize reports on own or does the software company have to do it? The Margill team can also create very specialized customized reports if needed. 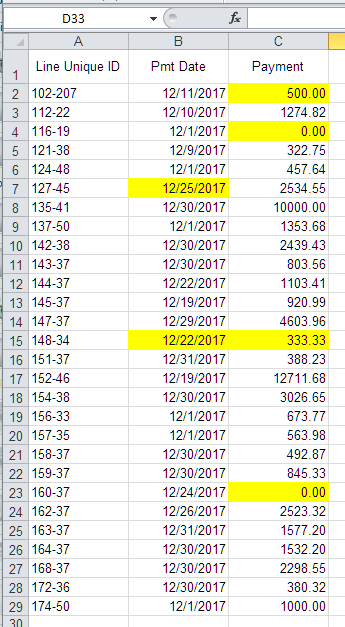 Able to track short term vs long term portion of notes? Able to assess late payment fees automatically after a specific grace period? No and yes. You can configure Automatic fees but a human has to tell the system that the payment is paid on that date (10 days late for example) and human must change the transaction from “Due Payment” to “Paid late > 10 days” so $x fees apply. You create your own fees rules. Not very complicated actually. 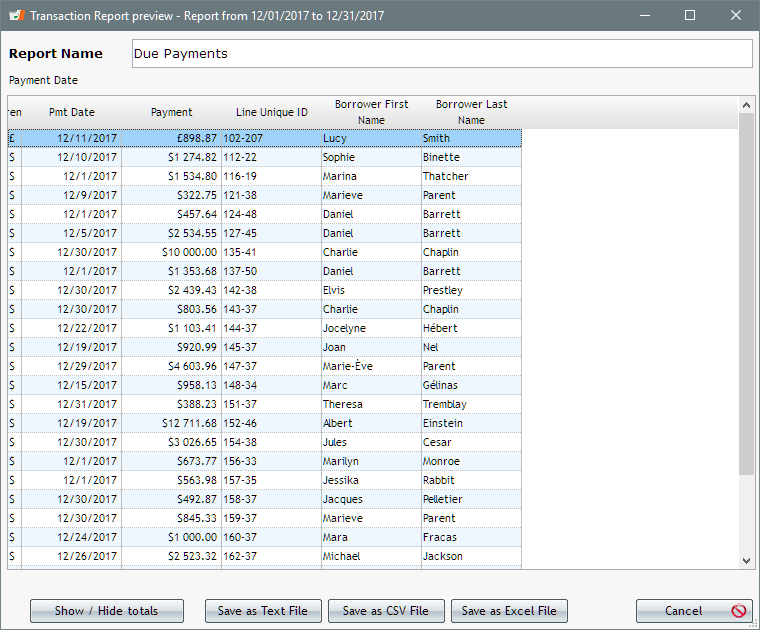 Able to upload payments by csv or excel to multiple accounts at one time? Is there a notes section available for collections, etc? Auto print invoices? Automated email delivery of bills? Yes but not Auto – a human has to tell the system to send these every month – but yes sent automatically by email with a subject, text and PDF attachment. Is the software server-based? Cloud based or both? Server-based but about 25% of our clients use on THEIR cloud. We do not store your data. Number of users allowed per license? Automated payment notification to debtor when payment is received? Able to create amortization tables within the software? 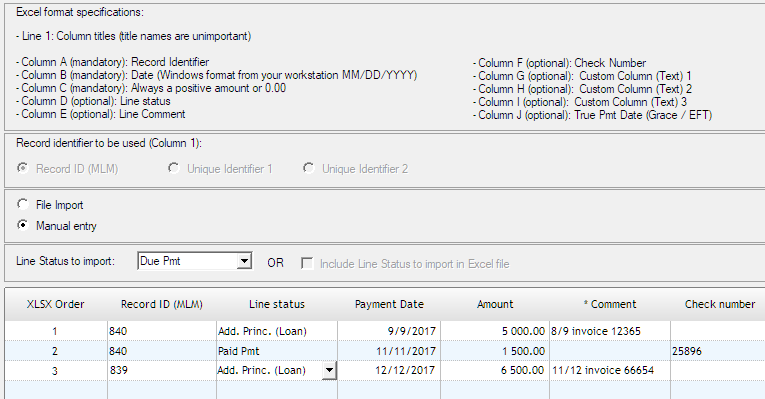 Able to create loan docs in the software? Example: Promissory Note Agreement If so, able to use our format or required to use software company’s format? Yes. RTF, DOCX and PDF – this is called Document Merge. You can copy/past your Word document and add images and merge fields. ACH payment processing available within the software? Contract required when purchasing the software? Cost of software? Set up fees? Monthly or annuals fees? Per user cost? We can also set up a live demo. Please contact sales@margill.com or call at 1-877-683-1815 or 450-621-8283.